These mashed potatoes are fast and simple to prepare and cook. The potatoes are quickly cooked in the microwave then mashed with milk, butter, and seasonings. Use peeled baking potatoes, russets, or Yukon gold, or use scrubbed unpeeled red potatoes. This is a great way to have homemade mashed potatoes when you're short on time or have limited cooking options. 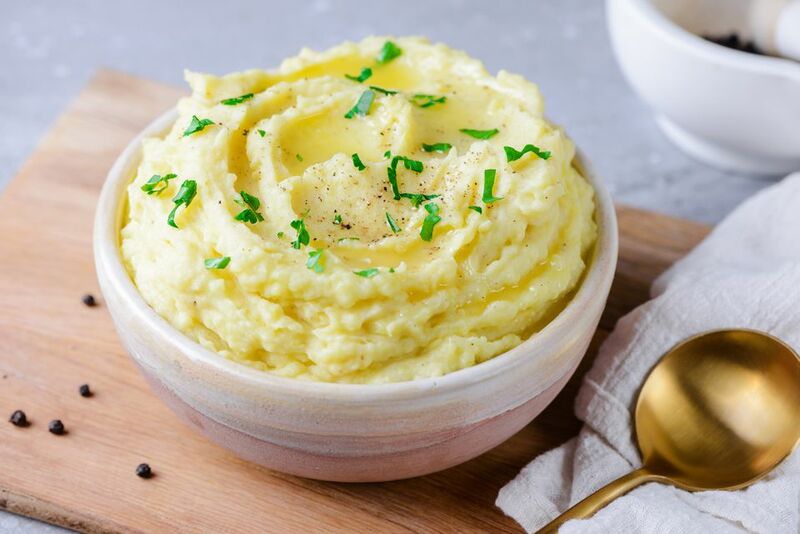 Another fast option for potatoes is this recipe for mashed potatoes using the Instant Pot or electric pressure cooker. Rinse the peeled potato chunks; put them in a large, microwave-safe bowl such as a large pyrex measure. A casserole dish or large bowl could be used as well. Cover the dish or bowl with plastic wrap and cut a small vent in the top for steam to escape. Microwave on HIGH for 8 to 11 minutes, or until the potatoes are tender. With pot holders or oven mitts, carefully remove the bowl from the microwave. If necessary, transfer to a larger bowl for mashing. Warm 3/4 cup of milk with 4 tablespoons of butter in the microwave until the butter is melted or nearly melted. If desired, put the potatoes through a ricer before mashing. Add the milk mixture to the hot potatoes and mash with a hand masher or portable mixer. If using an electric mixer, don't over-mix. Add more milk and butter as needed. Taste and add salt and pepper. Blend well. Serve alongside your favorite entrée and enjoy!